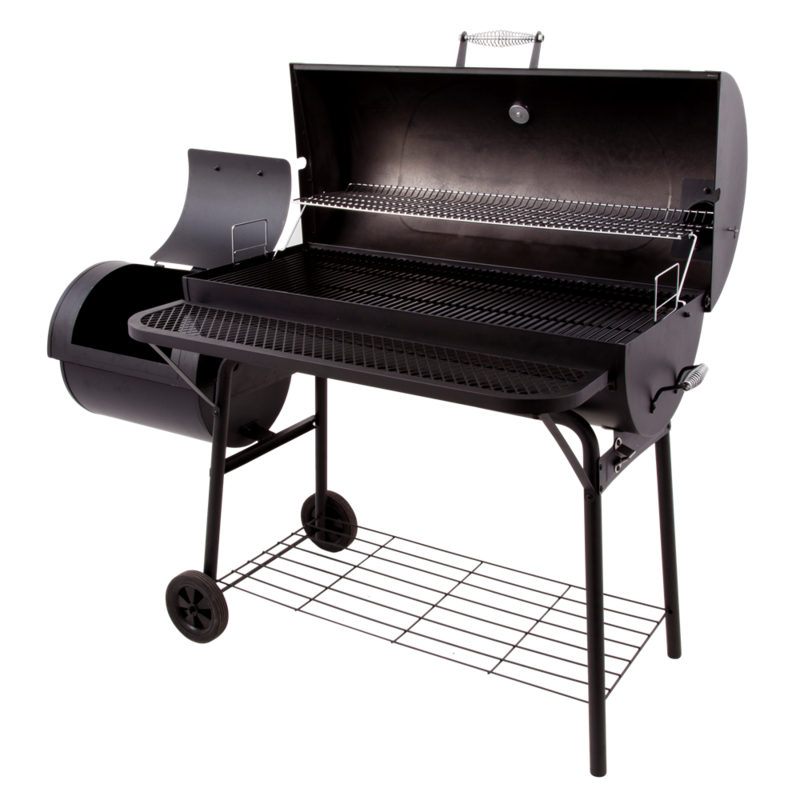 The Deluxe Offset Smoker from Char-Broil® is perfect for big backyard BBQ’s. 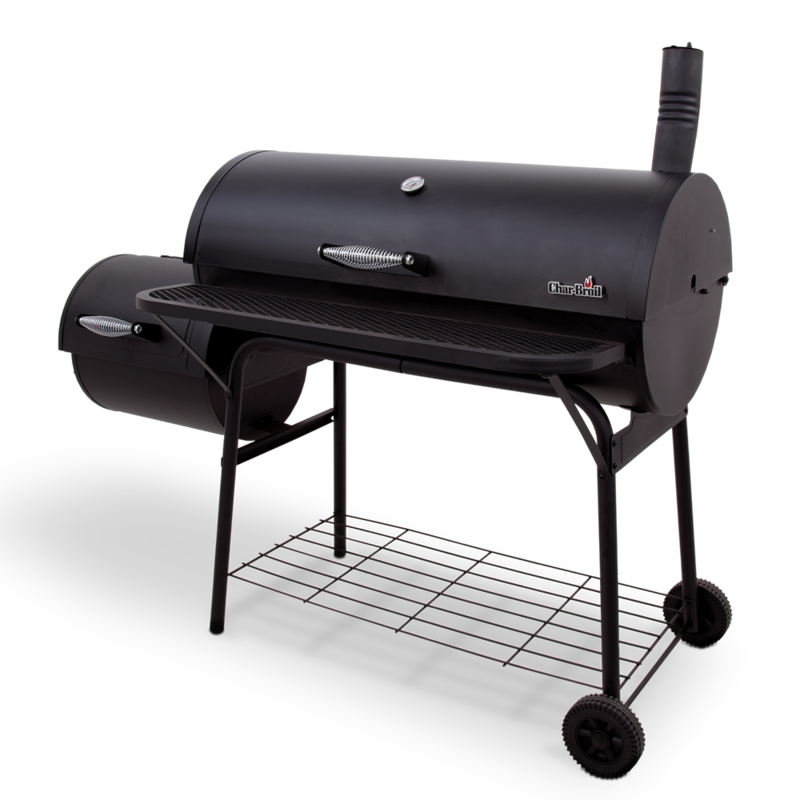 It features multiple dampers, a temperature gauge and extra grilling space in the offset chamber. 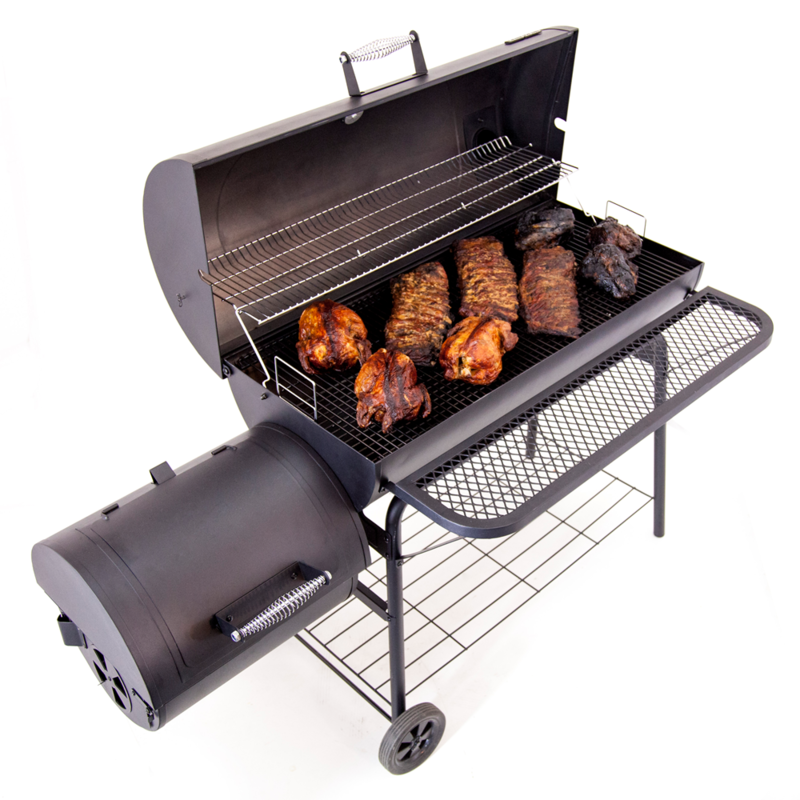 A vertical smokestack with adjustable dampers helps control the smoke and heat. And there is an easy ash clean out door. 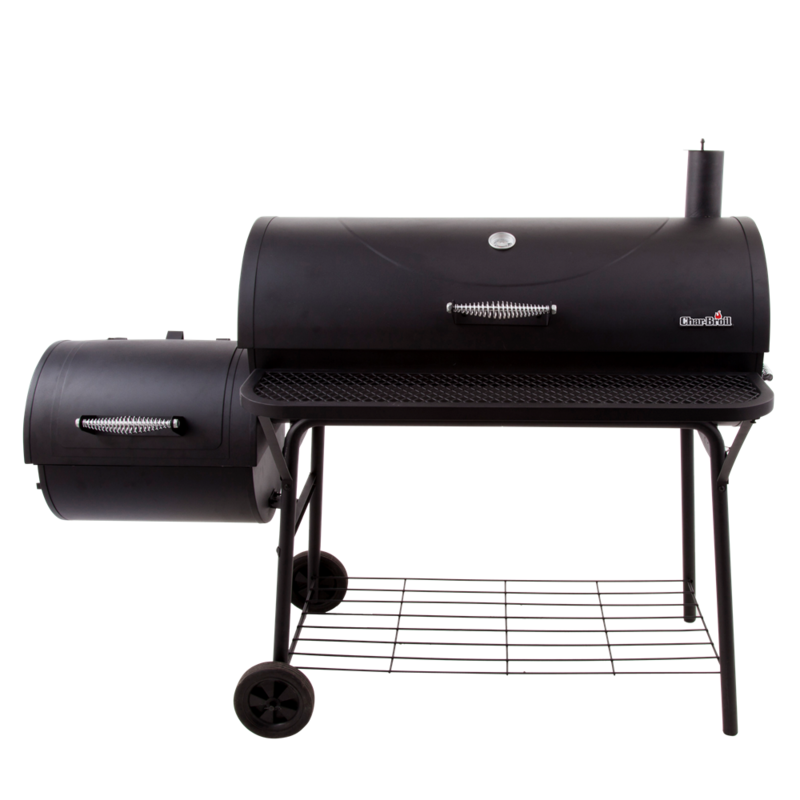 Stoke the fire easily without having to open the lid and heat and smoke flow freely into the main chamber. A vertical pipe with adjustable dampers, regulates heat and smoke by drawing it through the cooking chamber.